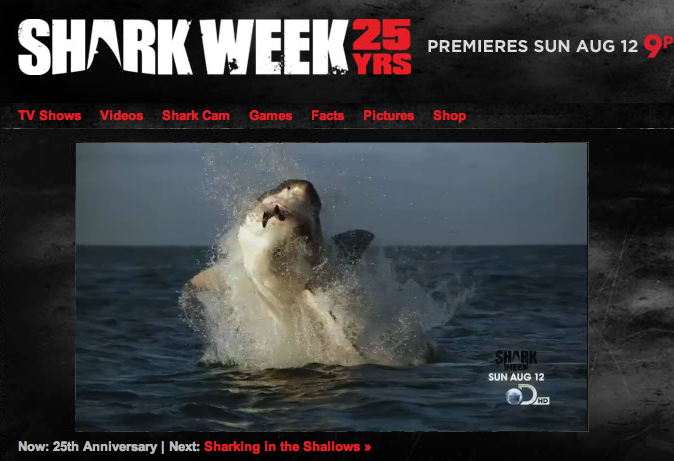 Shark Week – The Highly Anticipated Summer TV Event! 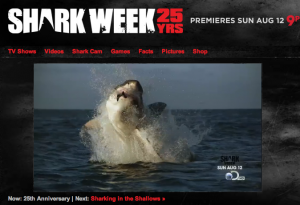 You are here: Home / Featured / Shark Week – The Highly Anticipated Summer TV Event! Sharks are among the fiercest and most feared animals in the ocean. Their sharp teeth, large size and fast movement make them frightening creatures. We all see in movies and the news how these ocean giants can tear anyone’s flesh. But sharks are not just about that. This is the reason why Shark Week has been featured by Discovery Channel – in order for people, adults and kids alike to understand them and to know them better. Every year, for more than twenty years, the Discovery Channel has featured a week-long series of shows about sharks, the favorite predator of the deep blue sea. Shark Week began as an experimental program for the starting network in 1987, but since then it has grown tremendously with so many people who are interested about these creatures and their nature. At present, it is one of the most popular and highly anticipated events on television on any channel, attraction almost 30 million viewers in the year 2008. The Discovery Channel itself started in 1985 and initially, it was a very humble endeavour. They worked with limited start-up capital, the network had programming only for twelve hours each day and featured an assortment of shows, which included a Soviet news program. After two years, the channel tried thinking of ways to spark the interest during the summer months that are normally the slowest time of the year (for all networks.) This is when they chose the shark and decided to feature seven days or one week of full programs dedicated to not just to being visually impressive – but most importantly, to be also educational. They feature different kinds of sharks such as the great white shark, tiger shark, mako shark, bull shark, and other ferocious predators. During its inception, the series was very successful and has immediately developed a devoted sequence. While they always keep the sharks on focus, the Discovery Channel also added new features that also in popularity. In fact, it was in 1994 when they featured the first ever host of the event, the author of the infamous movie called Jaws that leave us at the edge of our seats—Peter Benchley. In the recent years, a lot more celebrities were involved in the show including Heidi Klum, along with the hosts of Mythbusters, and The Late Late Show’s Craig Ferguson, who hosted the latest edition two years ago. Since 1995, the series has pleased and impressed as well as attracted at least twenty million viewers each and every year. The combination of breathtaking visuals, fun entertainment, intriguing facts make Shark Week the most awaited series that you can’t afford to miss. Shark Week isn’t just education programming for the youngsters. Shark Week has also managed to keep the teenagers and grown-ups glued to their TV sets for the duration of the week-long programming. In addition, the channel also had an eye for the high-tech approach such as handing out lots of 3D glasses for a segment on gigantic ancient sharks. The excitement and thrill it brings to the people is the secret why the show continued to succeed over the years.